Thanksgiving should be a joyful celebration of food, family and a time to remember all we have to be grateful for. But it can also be stressful if you’re hosting a crowd, trying to cook a flawless meal or even deliberating on the perfect hostess gift. We have some suggestions for how to make your holiday preparations a little less stressful. A turkey can often take up the whole oven making it hard to cook side dishes. 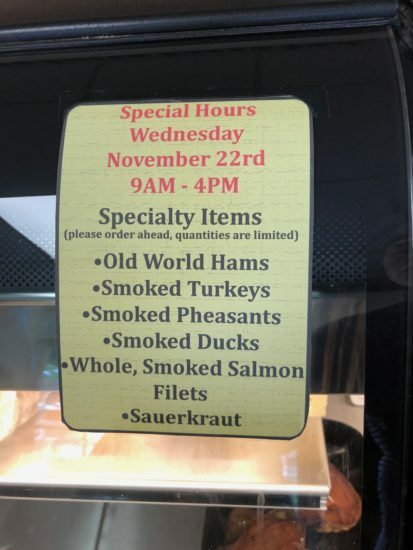 If you want to make life a little easier you can get a great assist from Thurn’s or Ray Rays who will provide smoked turkey and other smoked meats. Not only will you get moist meat and amazing flavor but you’ll free up the oven for sweet potatoes and pie. 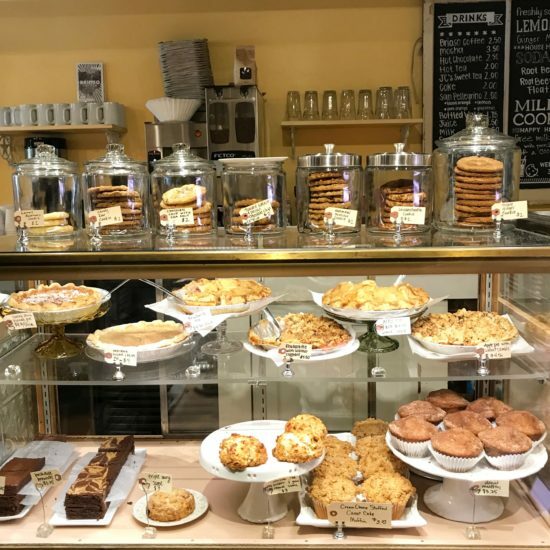 Whether you are looking for a classic pie or something with a little twist, there are lots of wonderful bakeries in Columbus offering picture perfect, and delicious pies. For traditional pies we love Sassafras and Dough Mama. 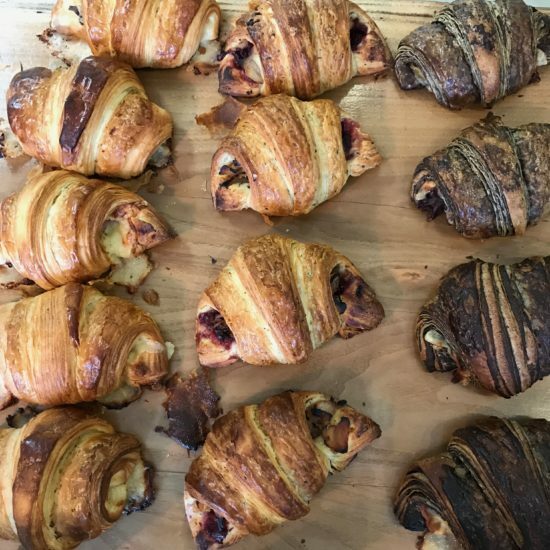 If you’re catering for guests who are gluten free, then Bake Me Happy has you covered. For vegan or dairy free guests, Pattycake is your savior. Details: Sassafras, Dough Mama and Bake Me Happy, order before Saturday November 18th for pick up Tuesday or Wednesday. Pattycake recommends calling ahead to order. If you like the idea of a homemade pie but are intimidated by pie crust or want a handy short cut, both Bake Me Happy and Sassafras offer frozen ready made pie crusts that you can fill and bake yourself. They work especially well for pumpkin or pecan pies or a streusel top apple pie. 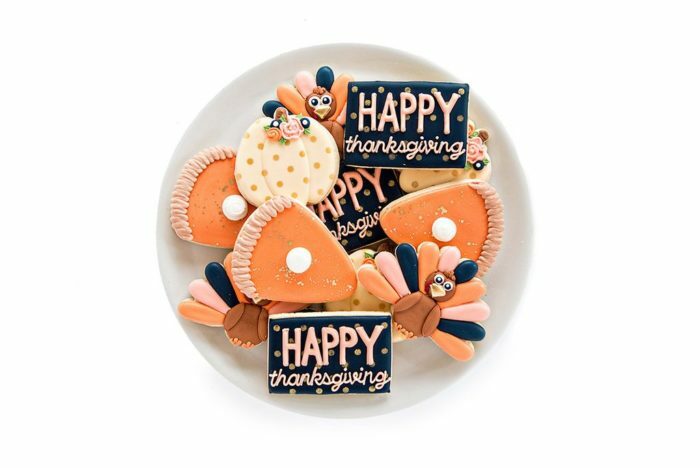 If you haven’t been assigned a dish to bring, but want to contribute something Thanksgiving themed and memorable, we love these cute holiday cookies from Jana Lee. Pattycake Bakery will be open 11am-3pm on Thanksgiving Day for last minute baked goods, pumpkin whoopee pies, cookies and pie. If you’re trying to decide what wines to serve with your Thanksgiving meal Columbus’ local wine shops have you covered. You’ll get better value and customer service with expert advice on pairings. Our favorites include The Barrel and Bottle, House Wine and The Twisted Vine. 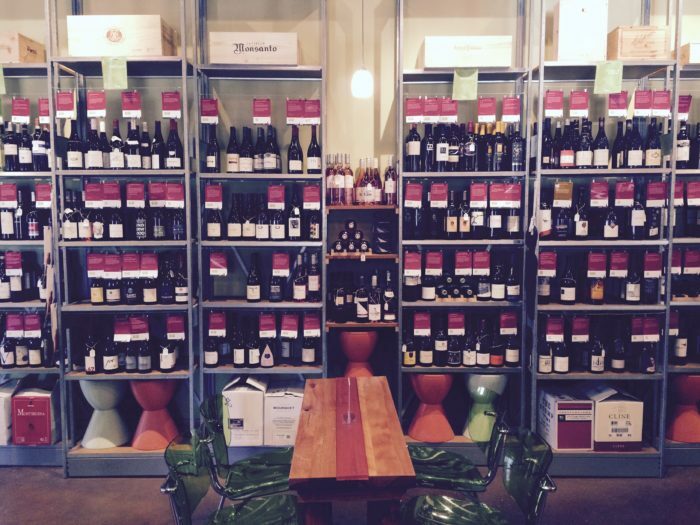 House Wine now offers a 10% case discount on six or more bottles of wine! Want to brush up your skills or get some fresh ideas for your Thanksgiving dinner? 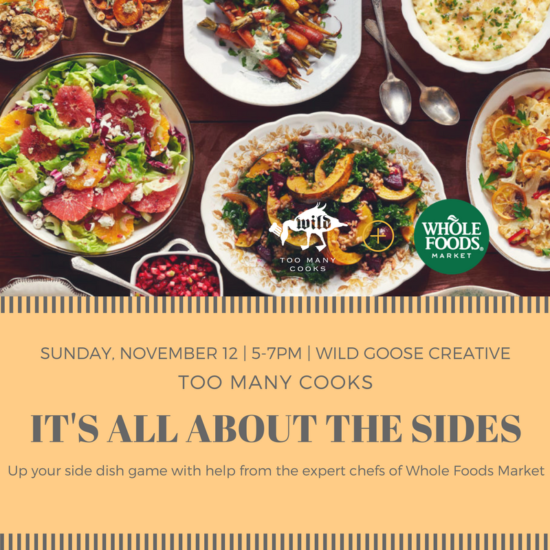 Too Many Cooks at Wild Goose Creative this Sunday (November 12th 5-7pm) is all about Thanksgiving sides and you’ll learn how to up your game with chefs from Whole Foods. If hosting at home isn’t an option or you just can’t handle all those dishes, there are several restaurants that are taking reservations for Thanksgiving dinners. Lindey’s has an a la carte menu, The Guild House has a set Thanksgiving menu (and their regular menu), The Worthington Inn has a buffet and Nicola has holiday dishes with an Italian twist. You could also get out of town with a Thanksgiving get away at the Inn at Cedar Falls. A fuller list of open restaurants is available here. If you want to make life really easy there’s Cameron Mitchell’s Thanksgiving “in a box”, pick up a fully cooked holiday meal for up to 10 people along with instructions for you to heat at home. If you have a larger or smaller gathering, The Hills Market (both locations) offers an a la carte approach to holiday catering and has your covered from appetizers to dessert. Details: Order by November 16th and pick up on Wednesday 22nd. The perfect treat for when you just can’t wait for the 23rd! Dan the Baker also has a larger than ever Thanksgiving offering with breads, pies and sides. Details: Order by November 19th. Let’s be thankful that we have so many wonderful food producers, famers, chefs and bakers in our community.